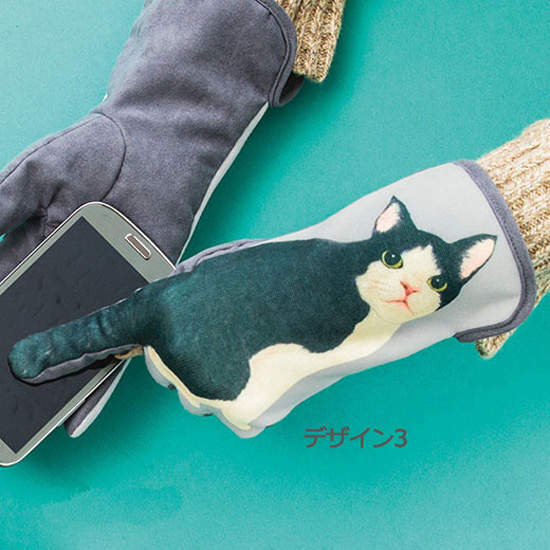 This quirky cat gloves from japan, could be used to send texts or browse the web on your smartphone even then it's chilly outside. It will make your hands looks like kitten's wagging their tails with every swipe of your smartphone. The cat gloves come from Fellisimo, a Japanese apparel company. 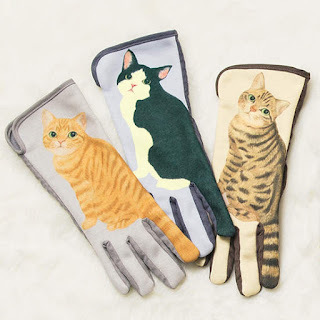 Proceeds from the cat gloves will support Fellisimo's cat rescue organization.And there are no striking difference between this cat conductive gloves and others, except the cat gloves much more adorable ! 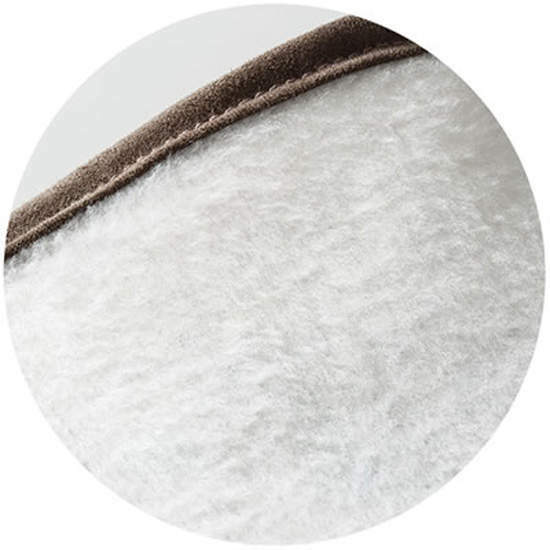 They're made of conductive material so that touch screens can sense their movements. 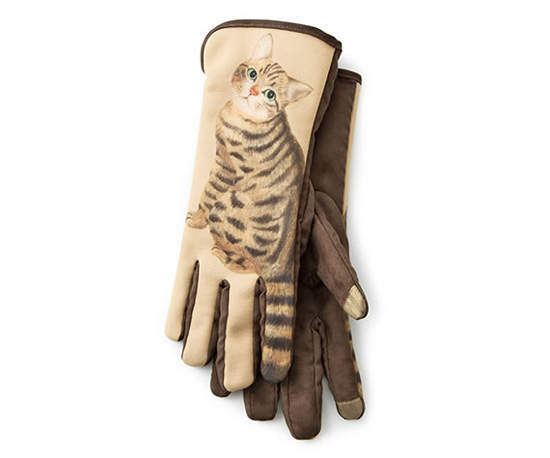 So, in the winter, each cat glove features an animated cat with its tail extending along the index finger of the glove. 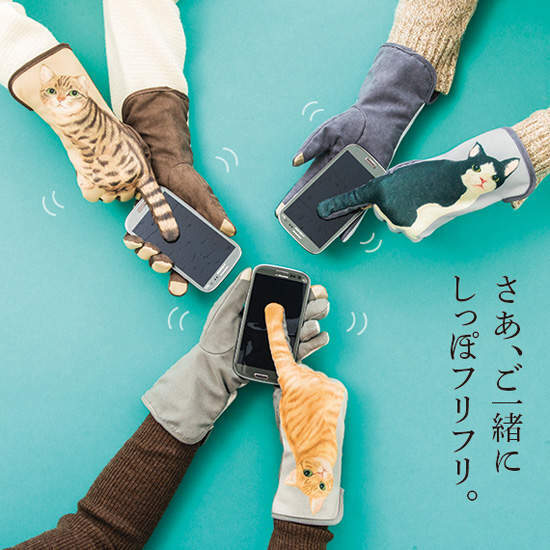 When the wearer swipes at their smartphone screen, the cat gloves wag their tails. Look at this super soft (not cat fur) fluffy inside.Aww, that’s a friendship face if I ever saw one. There are three sweet tabby options to choose from at Felissimo for 4,295 yen (US$36) each. Cats VS Slipper Funny Story - Who is the winner ?